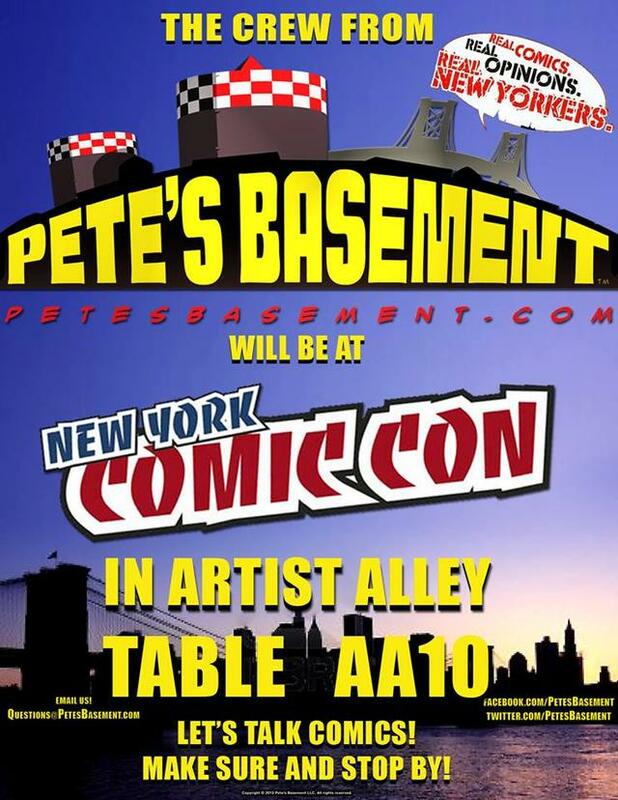 AA10 - PETE'S BASEMENT NYCC LOCATION! Pete, Ramon, Penny, Steve, and Roger will be at the table all day Saturday. Plus, drop by at 2:00 p.m. Saturday to watch us FILM THIS WEEK'S EPISODE! See you there! HEADS-UP! The 1st NYCC 3-Day Pass Contest Is Starting!! 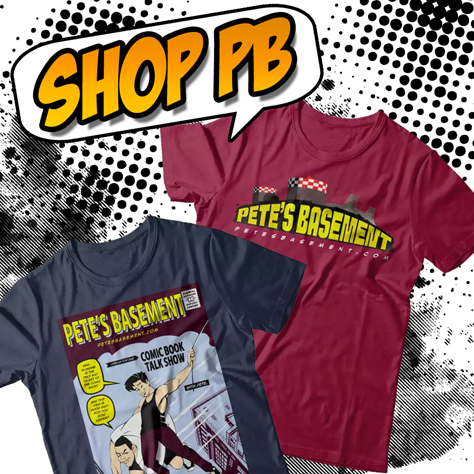 Pete gives the loyal fans a heads-up about the 1st New York Comic Con 3-Day Pass giveaway! Hot damn! New York Comic Con at Jacob Javitz this year was completely massive! There's no way I can begin to describe the amount of various vendors present. 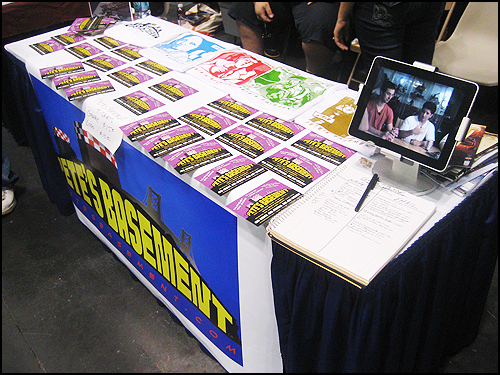 The Basement's table looked great, and I was super excited about it all.